The project is progressing well across all of the countries involved. Here is a brief update of the projects. 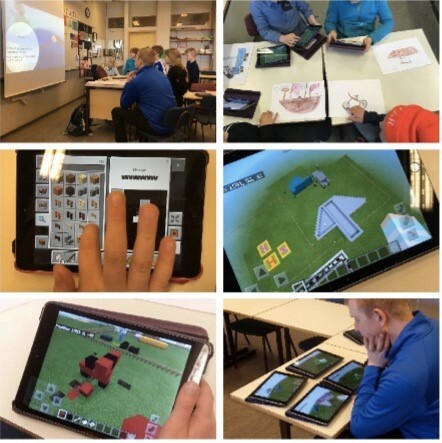 Denmark led a week-long project titled the ‘Global Makerspace’. 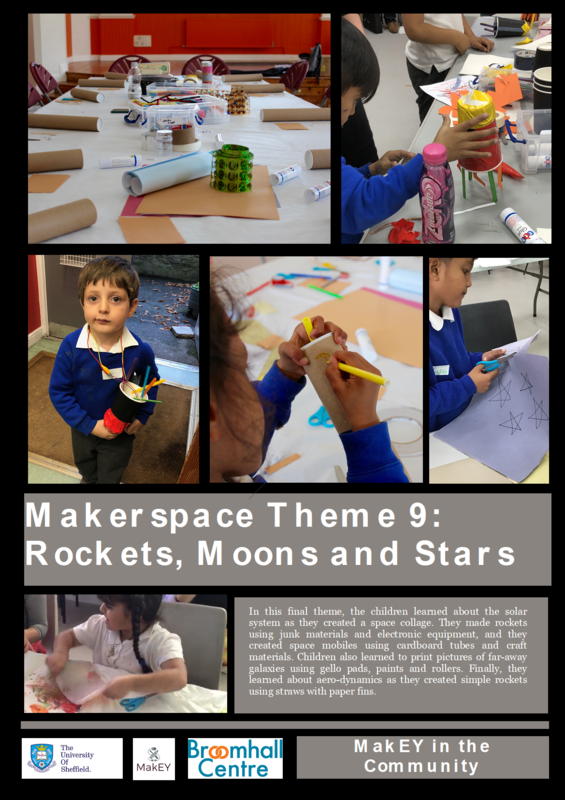 Children in Sheffield, Aarhus and Melbourne participated in an online makerspace in which they produced artefacts related to the theme of space, uploaded the artefacts or images and texts related to them, then other children took those artefacts and texts and re-designed/ re-mixed them. It was a very exciting week, with the children excited to see what other children had done to their work! 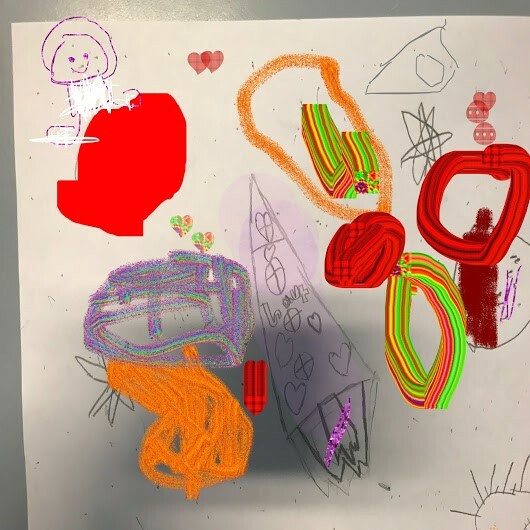 Figure 1 is a drawing made by children from Australia, which the children in Sheffield added to using YouDoodle. This was not an easy task for the Danish team to lead, given the loss of their team member, Kjetil Sandvik. Very sadly, Kjetil passed away in July 2018, and he is sorely missed by all of the MakEY team. We are grateful to have had Kjetil’s influence on the project since the beginning of the project, and he would have been thrilled by the success of the global makerspace project, as he had planned it carefully with his colleague, Klaus Thestrup. The Finnish team has concentrated on the dissemination part of their work in the MakEY project by preparing research articles on the data that has been collected. 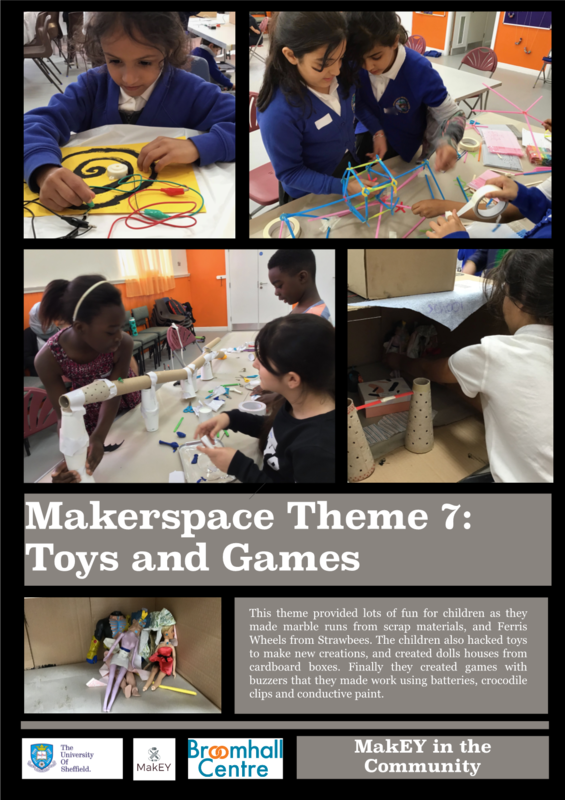 These articles will look into children’s multimodal interactions in different types of makerspaces, and consider how these interactions manifest and enhance children’s play, creativity and learning opportunities. In August 2018, the Finnish team visited a public library in the City of Espoo, Finland. This public library is located on one of the top floors of a shopping mall, designated as the “Market Place”. The space provides a range of public services and serves as a combined space for several government agencies, all embedded in a public library. For example, parents can bring their children to the pediatricians’ offices in the children’s section of the library, and librarians can interact with a range of professionals involved in family welfare in a large staff lounge. During the meeting, the Finnish team learnt more about the current work on makerspaces in the library. The Finnish team also shared their insights on makerspaces with the library staff. During the meeting, plans for future collaboration were developed for co-planning and co-facilitating makerspace workshops for children and their families in the library space. The Finnish team is excited of this emerging collaboration possibility as the library space brings in a variety of children and their families to visit it due to its multiple services under the same roof. This is a great opportunity to invite all these children and their families to experience making and makerspaces. You can find more information about the library from here. The German team have been busy undertaking exciting work on Virtual Reality during their secondments. In a workshop in Bucharest, Romanu, the team wanted to understand the bridge between the physical and virtual. They decided to ask children to build a small sculpture out of cardboard, then use that sculpture inside Tilt Brush and try to retrace that same object. They already had expectations for what would happen and the workshop confirmed these; as soon as the children entered the virtual, they forgot completely about the physical world. The team asked them all to build together and slowly invited them one by one to retrace what they had made inside VR. They all got really invested in the building process, and then even more invested in the virtual experience after entering Tilt Brush (see Figures 2 and 3). Even when trying to focus on the sculpture, Tilt Brush amazed them so much, they would just get completely immersed in it, and ignored the cardboard creations they were asked to trace. While the kids were in VR, the others (who had already finished their sculptures and were just waiting to go in), were interacting with the child already in the virtual space. 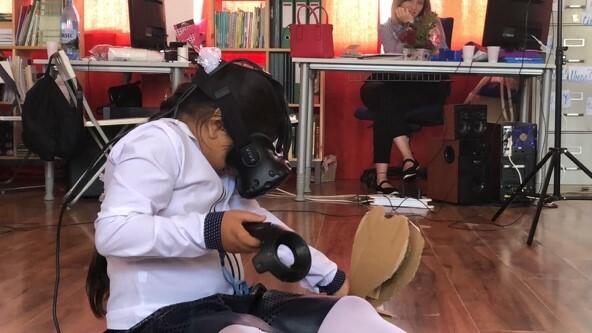 Even though they were wearing the VR headset and could not see each other, the children would touch each other and run and laugh at the same time. It was really playful. Seeing that reaction, Deborah decided to try something different the next day: instead of using cardboard and sculptures, she suggested children would become the sculptures themselves, and the child that was inside Tilt Brush had to touch their friend’s outline and try to trace around them. It was beautiful to see the children become big complex sculptures and waiting to be drawn. The German team are now focused on analysing the data from all of their workshops, and writing it up for dissemination in the project’s forthcoming edited book. VEXA: Kjartansdóttir, Pétursdóttir, & Hjartarson. The Icelandic team continued work on four case studies with data analysis, presentations and writing. Skúlína introduced results at the DigiLitEY conference in Riga in June 2018. Three of the team members (Skúlína, Svava, and Torfi) co-hosted a seminar with Romanian and German MakEY partners in September at the ECER conference in Bolzano Italy and introduced one of the cases there. 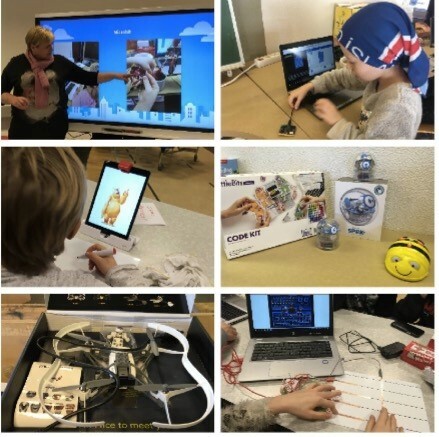 Also, the UoI team hosted a seminar (in Icelandic) on the MakEY project at the University of Iceland School of Education annual conference – Menntakvika – in Reykjavík in October 2018. Access to the seminar was provided through Adobe Connect. Information about the seminar (abstracts, slides, recordings) is provided at the RANNUM- Research centre website http://skrif.hi.is/rannum/menntakvika/menntakvika-2018/. These cases were also introduced at the European Researchers’ night (Vísindavaka) in Reykjavík on September 28. 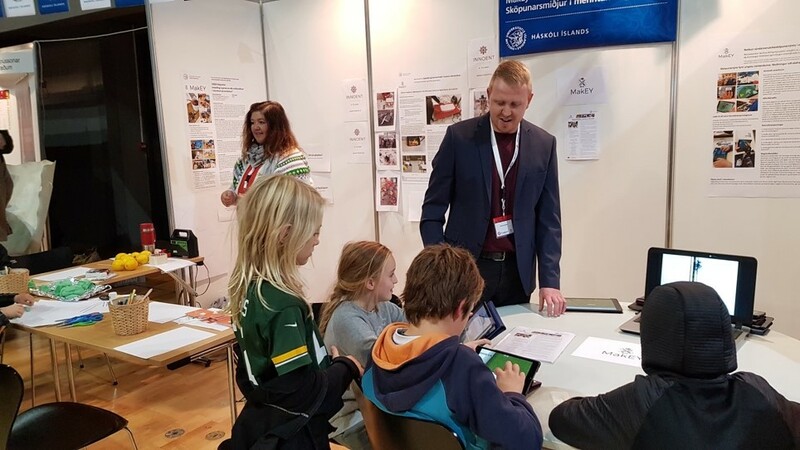 Thórdís Sævarsdóttir and Gunnlaugur Smárason set up makerspaces to provide hands-on experiences and posters with case study results and information about the MakEY project were set up in the University of Iceland booth (see images below). We completed the first draft of a book chapter about the studies by November 1st. A journal article has also been written about the Minecraft case – ‘Virtual Learning Makerspace to Teach and Learn Mathematical Concepts’. 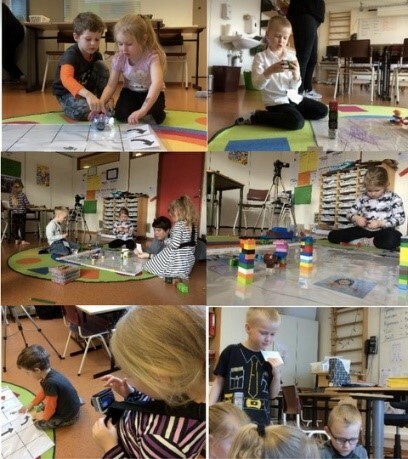 Anna?Elísa?Hreiðarsdóttir: Makerspaces in Icelandic Preschools?–Interaction- creativity and gender.Anna Elísa introduced one of part of the findings at conference in University of Akureyri in September [Digital literacy in preschool – creativity and play]. We hosted two seminars in Iceland in October, one at Menntakvika (University of Iceland, School of Education). Kristín talked about the background to a Makerspace in preschool, and Anna Elísa talked about coding. Herdís Ólöf Pálsdóttir, a M.Ed. student, who participated in the researcher’s workshop as assistant, talked about her experience as co-researcher. The other seminar was Þjóðarspegillinn: A conference in Social Sciences (University of Iceland). Here, Kristín presented on embodiment robots in play, Anna?Elísa talked about coding and gender and Herdís presented on the children’s evaluation of the makerspace.Bobby Nisha and Antonios Ktenidis from the University of Sheffield visited Iceland on their secondments in the fall 2018. Among the activities was Bobby Nisha’s workshop on virtual reality, see information on the RANNUM – website http://skrif.hi.is/rannum/2018/08/28/bobby-nisha-vinnustofamalstofa-um-syndarveruleika. Access was also provided through Adobe Connect to participants outside of the University. 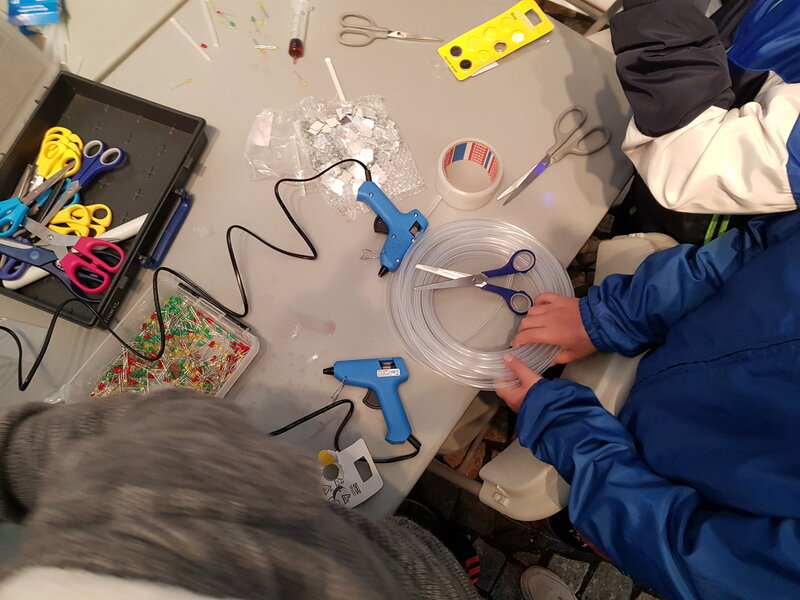 The Norwegian team have participated in the Oslo science fair with a pop-up makerspace. The science fair targets schools, kindergartens, parents and children in the Oslo area. In the MaKEY stand, children could make glow sticks and armbands using plastic tubes, glue guns, batteries and coloured liquid. They could play around with Makey Makey, playing music on fruit and vegetables and playing Super Mario. Finally, they could make small animation movies using a specific app. 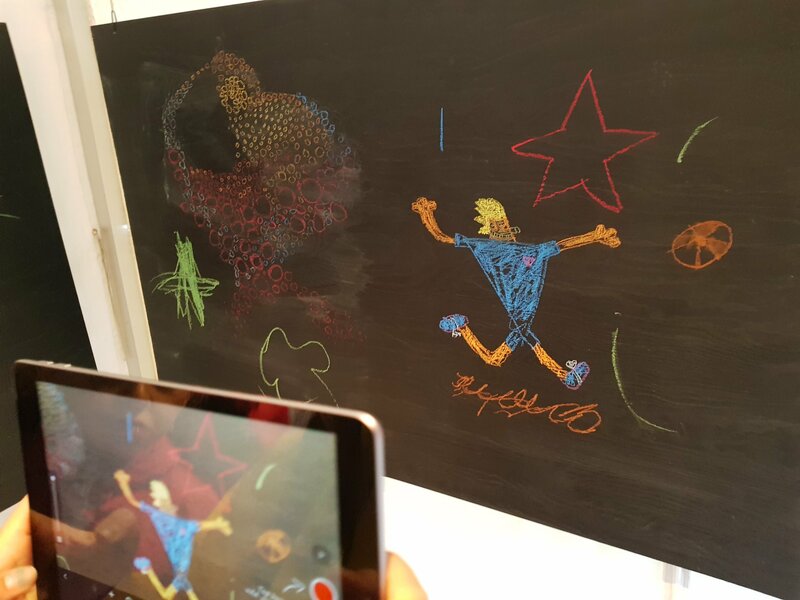 The could draw images on a blackboard and use stop motion techniques to create moving images. In contrast to many other makerspaces in science fairs, we put a lot of emphasis on facilitating children’s making. This seemed to be important for their creative making to be successful. A lot of children and adults visited our stand and we truly enjoyed making this creative learning space available to young children. A presentation was delivered by Hans Christian Arnseth on making and 21st century skills for arts teachers and policy makers. 1. To analyse and explore the data collected during the workshops. We will finish the chapter for the book project and the draft of one article by the end of the year. 2. To continue the secondments that the Romanian team undertake, and also to facilitate the secondments that other teams have undertaken in Romania. For the former, it is worth mentioning the very productive secondment Anca Velicu had in Melbourne where she participated alongside the Australian team (Dr. Gregg Giannis and Dr. Klaus Thestrup, the latter also a member of Danish team), Danish team and British team to undertake the first stage of the Global Makerspace project, part of the MakEY project (see Denmark’s update above). During the same secondment, she also visited other makerspaces that function in elementary schools for children under the age of 8. As host of other secondees, we enjoyed the visits in Romania of Deborah Rodrigues and Justyna Zubrycka from the German team. Together with Deborah, we organised 2 workshops on Virtual Reality in one school in Bucharest (see Germany’s update above). 3. To interview staff from makerspaces in Romania for an in-depth understanding of their activities, finding out about how they conceive the place of young children in makerspces, and their special needs in this regard. The interviews will add a new layer of understanding to the Romanian Report on the answers from the MakEY survey. On this strand of the project, we have already completed 12 interviews, and we are currently on the way to transcribing them. The UK-LSE MakEY team concluded our fieldwork with three museum-based makerspaces for young children in the San Francisco Bay Area, and are examining how parents and families act as learning resources and learning partners to support their young children’s making and tinkering activities both while visiting makerspaces and beyond. We held our final research visits to the Tech Museum of Innovation in San Jose, the Bay Area Discovery Museum in Sausalito and the Lawrence Hall of Science in Berkeley over the summer, and are now analysing our fieldnotes and interviews with parents, educators and children. We presented our research at the Connected Learning Summit in Boston in August and have contributed to a report at the Center for Childhood Creativity at the Bay Area Discovery Museum that will result in a literature review for early years educators next year. The Sheffield team have been busy on a number of projects, as well as collaborating with other countries as we continue to undertake our secondments. However, since then, the team have undertaken three additional makerspace projects, which have been requested by various parties. The first of these was a six-month long project at Broomhall Community Centre. 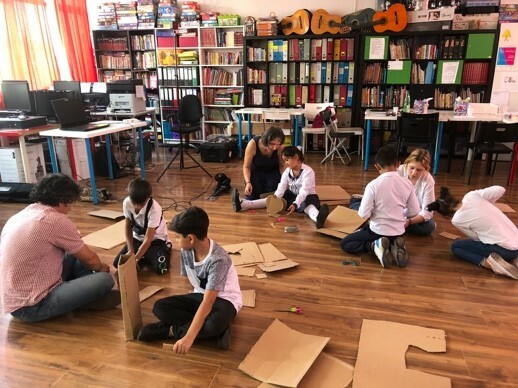 We offered a weekly after-school makerspace for children aged from 5-11, which proved to be very popular, with over sixty children registering, and approximately 30 children attending on a weekly basis. Every fortnight there was a different them, and Figures 8 and 9 offer an indication of the kinds of activities children engaged in. The team has also launched a MakEY project with two Local Authorities, Barnsley and Sheffield. 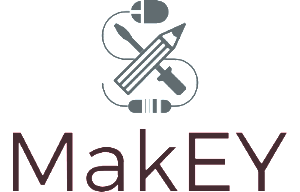 We are drawing on what we have learned from MakEY overall, and are working with approximately 30 early years settings and schools to introduce makerspaces. This is an exciting development from the EU-funded project, and will report in the summer of 2019. Finally, the team has been involved in lots of public engagement work. Our exhibition of the work from the original 4 schools attracted over 300 people in July 2018, we held a Festival of the Mind pop-up makerspace that had over 300 children as well as their parents attend, and we offered a family maker event at the ESRC Festival of Social Sciences which attracted over 150 children and their families. These all took place in Sheffield, but members of our team have also run pop-up makerspaces elsewhere. 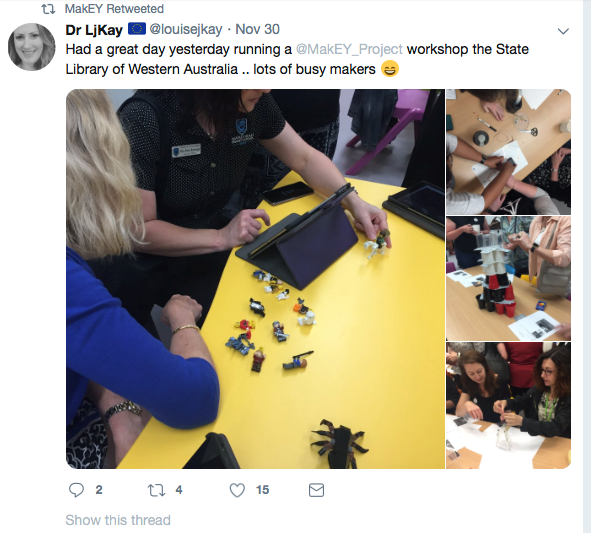 Louise Kay, for example, ran a session for over 40 people at the State Library of Western Australia in Perth (see Figure 10). These events all offer important opportunities to demonstrate the value of makerspaces for young children’s learning. Enhancing Digital Literacy and Creativity: Makerspaces in the Early Years. London: Routledge.